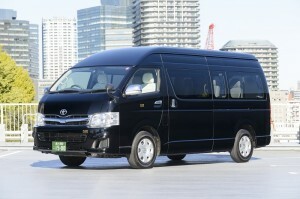 Comfortable Ryokan transfer service for Sunnide Resort: Hotel guests in Tokyo area. Enjoy a luxury and comfortable transportation from your hotel in Tokyo to Sunnide Resort: Hotel with our private limousine service (payment in advance and fixed charge plans apply). On your way to the luxurious onsen ryokan or Japanese hot spring hotel, you can relax in a spacious and comfortable car without any worries of you getting lost or carrying your heavy baggage. We provide private limousine service (chauffeured car service) plans for couples, families, and small groups for safe and comfortable transportation. １. 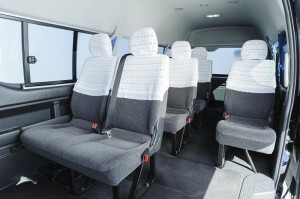 Operated by a company which has a great deal of experiences of transporting V.I.P. guests from various countries. Kokusai Motorcars group company, a leading company in the industry with experiences of transporting V.I.P. guests from various countries at 42nd G7 summit (Ise-Shima Summit), Tokyo International Conference on African Development (TICAD), guests for a Cartier commercial event, etc., operates the service. You can relax in the car all the way to the luxurious onsen ryokan—each driver(crew) has an excellent reputation for their driving techniques, handling guests, and cordial reception. 2. 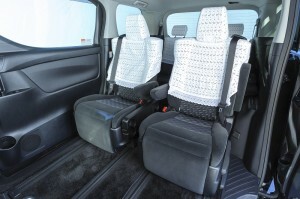 Selected spacious and comfortable Japanese cars. We offer 2 car models of Toyota representing Japan. 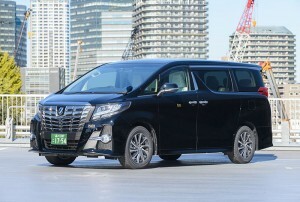 One is deluxe Alphard and the other is Hiace Wagon Grand Cabin, which has enough space for a group of guests and provides comfortable transportation. Spacious and comfortable. Good for 2 people. Enough space for a group of guests. Seating capacity of 6 passengers. We will send a chauffeured car with an English speaking driver to hotels in Tokyo (hotels where you can use as a departure place). See below for details. You can depart for the luxurious onsen ryokan without any worries about your baggage even if it rains. ＊A reservation can be made 3 days before the departure date. ＊See Terms and Conditions on the reservation page for details.